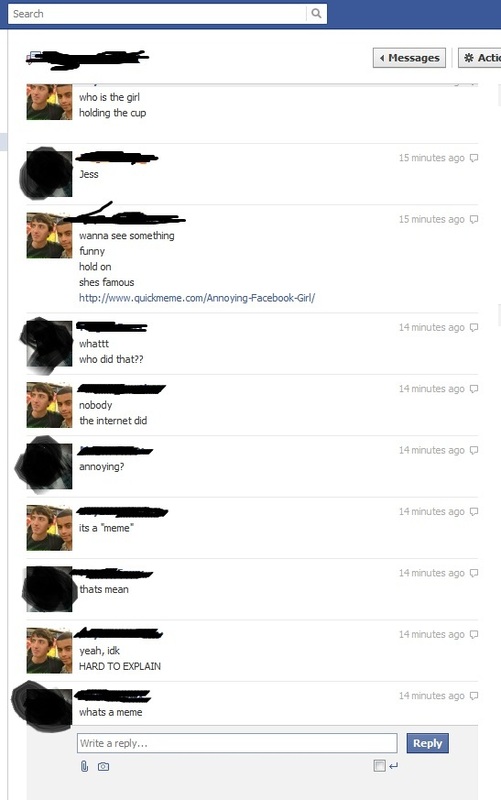 Annoying Facebook Girl or innocent Internet victim? It’s all fun and games until you discover you’re an Internet meme. That very scenario might happen to a girl named Jess sometime today. 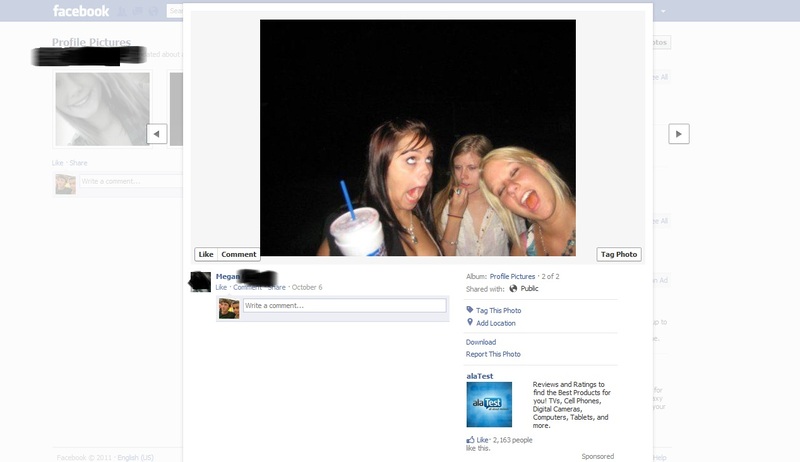 A picture of her on Facebook was edited in order to create a meme: Annoying Facebook Girl. In this image macro, text about clueless Facebook practices surround Jess’s face. Last night redditor boyann stumbled upon this familiar shot in one of his friend Megan’s photos. He immediately chatted with her (and took a screenshot) to tell her the news. 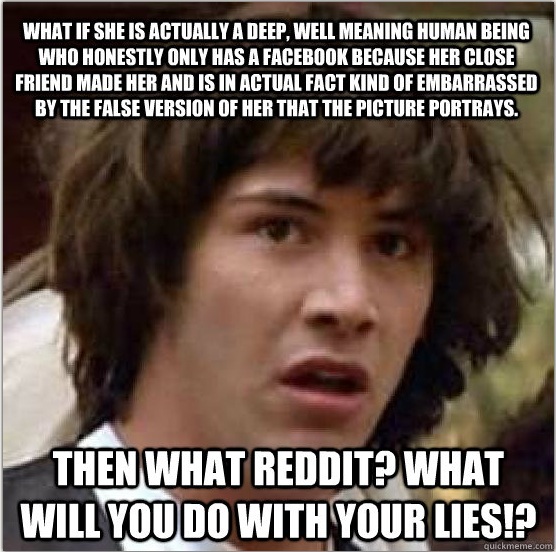 The redditor continued by trying to explain to Megan what a meme is. Unfortunately, poor Megan hadn’t heard of the concept. When boyann posted the story to Reddit, commenters were mainly concerned about Jess’s feelings and worried that a person who’d never heard of memes might take it the wrong way. “Tell her it’s not mean…it’s fate. She should be proud to be recognized by a vast majority of internet users,” wrote HobbytheWise. In the original post, boyann promised to keep Reddit updated on whether Megan shares the news with Jess. He hasn’t updated the thread in nine hours.